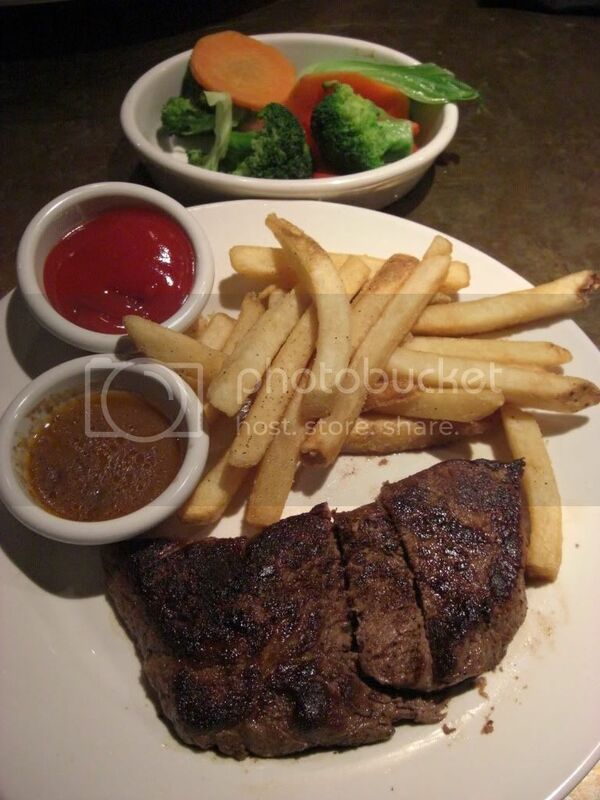 The local Outback Steakhouse is Nirvana to the steak-and-potato sort, of which I am a card carrying member. It is also a favorite for teenagers on their first date, like the couple who was seated in the booth beside ours last week. Bad for them, maybe, but good for us. It’s not often that regular folks like my wife and I get both a dinner and a movie at the same time. “Sit me first,” she said. “You’re going to pray, right?” his date asked. I felt sorry for that young man, I really did. He thought dating would be natural. Take a girl out, have some fun, maybe dinner or a movie, and then drive her home. No fuss, no muss. How hard could it be? From the small beads of sweat on his forehead, plenty hard. His date was demanding. She offered little in the way of praise and much in the way of criticism. He was confused, frightened, and unsure of himself. All because of her. Why had he agreed to take her out in the first place? he wondered. And even asked. But she merely smiled and winked and said it was the only way he’d ever be allowed to take anyone else out ever. He knew she was right, and so did I. She had all the power, you see. She’d had it for about sixteen years now. Because his date, this unimpressed, hard, stringent lady, was his mother. I manage to get the backstory when her son excused himself to the bathroom. Presumably to flush himself down the toilet, which also happened to be right where his evening is headed. He’s a good boy, according to his mother. Always has been. And she wanted to keep him that way, too. But he’d gotten to that age when children began to feel a little too sure of themselves. Their world brightened and grews bigger, and they were under the impression that they were growing brighter and bigger right along with it. It was easy to get muddled and begin thinking they were in charge. That it was all about them. So, mother and father decided that before they would allow their son to start dating, he would do a trial run with mom. It’s important that he knows how to treat a lady, she said. And it’s important to know how to spot one, too. We pass onto our children what we consider to be the necessities of crafting a good life—the attributes of honesty and hard work, the values of education and faith. But too often what’s left out is the most basic necessity of them all: how to behave when mom and dad aren’t around. Too many of us mourn the fact that today’s younger generation is so over-the-top rude. Too few of us take the time to consider the fact that much of the fault is our own. It was nice to see a parent put forth just as much effort to ensure her child got into the right life than she would to ensure her child got into the right college. Education can get you far in life. Good manners can get you farther. Still, I couldn’t help but express my empathy for the young man. “This has to be the longest night of his life,” I said. I wish I had someone to tell me what to do for my first date. I blew it big time, because I just didn’t know. That said, I wonder if the dad wouldn’t be a better person to tell the boy how to date a girl. Oh well. Bottom line is that while your post today is a good read, that picture is making me hungry. What a fabulous story! And, as only can do, so well told. Thank you. Oh my land! I didn’t see the mom angle coming. This was a good read, sir Billy. Oh, fabulous. You really surprised me with this one, when you revealed the date. I felt bad for the young man, even after you revealed what was going on. Grueling. But you make a great point about being intentional in filling in the gaps for our kids in areas of ignorance. Too often we leave the training to movies and TV shows. Yikes! Oh man! I love this story! What good parents. I hope, though, that my kids know how to act on a date by watching me and my hubby… I ALWAYS comment, in front of all of them, that I hope they marry a guy just like him because he opens doors for me…. prays before every meal… etc. Hope it sticks. I have three sons. They are young now but someday they are going to think they are ready to date. I plan on them proving it by taking me on a date first. It may slow down their desire to date a bit which is fine by me or it might give me a chance to see they really are growing up and ready to date. Hopefully they will be showing off those manners we have spent years teaching and remInding. I loved this whole thing. So nice of that mom to ‘prep’ him and wonderful training too. Billy hit the bull right in the eye! My husband and I talk about this a lot. “Too many of us mourn the fact that today’s younger generation is so over-the-top rude. Too few of us take the time to consider the fact that much of the fault is our own.” What a wise Mom and Dad in this story, and what a wise man to share it! Thank you Billy. What fun! sneak a little video next time. I love it when parents are creative leaders with their kids. Less crash and burn stories later in life. Loved this, Billy! Especially the surprise. I, too, wish a parent had taught me how to act on a first date. I remember being soooo nervous. Thank God, my date was too, but we got through it.